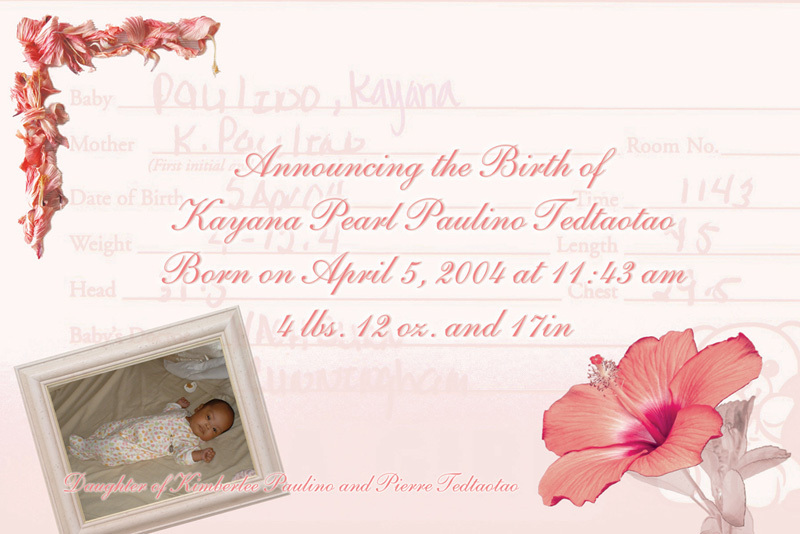 I created a birth announcement for my goddaughter and made the piece more personal then stock birth announcements. I really enjoy personal, family and friend projects because they give me a breath of fresh air and allow greater flexibility. I wanted to use the informational card they put in the basket when the baby is born as the backdrop for the print piece. I always try and incorporate symbolic or sentimental objects in my design.